The consultant nodded understandingly. He sat on a chair near the foot of her bed and his phalanx of attentive junior doctors stood behind him lookeing sympathetic. There were three of them today - all women, Jessica noted. Doctor Farrow, the specialist, was a tall, balding man who wore striped shirts and grey trousers with a knife-edge crease. His suave, professional manner inspired confidence. "Your echo-cardiogram shows impaired left ventricular systolic function and you came in with a pulse of 180. Cardiac problems can strike at almost any age, Ms Young," he said gently. "You may have seen news stories about healthy footballers suddenly collapsing in the middle of a match. Is there any history of heart trouble in your family?" She nodded. "On my mother's side, most of the men have died of heart attacks in their sixties. The women go on longer." "You can't do anything about your genes," he said, looking a trifle sad. "Any other exacerbating factors?" He rifled through his papers. "One of your tests showed impaired liver function. Not terrible but not as good as we would expect." Jessica managed a rueful smile. "What can I tell you, Doc? When I was young I burnt the candle at both ends. Wild child is an understatement. The vodka went down in pints and the red wine by the gallon." Because I couldn't stand the thought of settling down in a boring suburban house and living the boring, decent, respectable, constrained dead life of my parents, she thought bitterly. "I rebelled against my parents with their tea at six every evening to watch the BBC news, Sunday lunch at one, early to bed, early to rise and above all - sensible. I couldn't stand sensible." Doctor Farrow nodded. "Well, we all go mad when we leave home. You should hear what goes on at Medical School." He chuckled at some memory. "I kept it up, though," said Jessica. "I still drink a bottle of red wine every night. At least, I did until I came in here." "That will have to change." He looked over her head and she turned to read the heart monitor. Her pulse was still running at 135. "The drugs aren't bringing it down enough," he said. "We're putting you in for a cardioversion tomorrow so you'll be nil by mouth all day, I'm afraid." "Cardioversion? That's where you stop the heart and restart it, isn't it?" He stood up. "Essentially, yes. It's almost a routine procedure nowadays so don't worry. We'll soon have you up and about." "I appreciate everything you've done," she said sincerely. She had been feeling run down for months and getting breathing problems, especially at night. Her own doctor had suspected asthma. Then one day she found she couldn't walk ten paces without getting breathless. She had gone to the GP. One echocardiogram later she was in an ambulance on her way to the Acute Medical Unit at the local hospital. 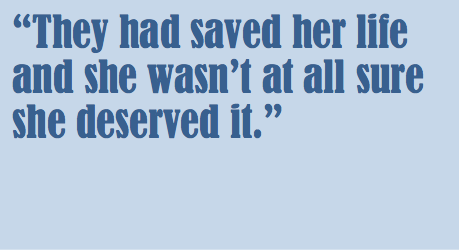 They had saved her life and she wasn't at all sure she deserved it. The recovery after cardioversion was astonishing and three days later she was back home. She turned the key in the front door and threw her holdall on the floor of the lounge. The place was untidy but that wasn't unusual for her. She walked through to the small kitchen diner and opened the cupboard next to the sink. "I need a drink," she muttered. There were two bottles stored and she pulled out a nice Merlot. It had a modern metal cap which she twisted neatly. When she got the glass out she thought again. Heart failure was no joke. She tucked the bottle back in the cupboard and picked up the phone. Clive, she decided, owed her a meal. He had visited her once in the hospital only to tell her he wouldn't visit again: said he "couldn't bear" hospitals. He had phoned her twice while she was in but never came back to see her. She dialled his number. He took a while to answer. "Clive! It's me. I'm out of the hospital and dying - well, not dying - keen to get back to reality. How about dinner tonight? Somewhere classy but cheap, like me." She heard his breathing but he said nothing. He took a deep breath, let it out. "Sorry Jessica, I can't." He paused, then. "I met someone else while you were ill, Jess. Sorry, it's over." He hung up. Jessica let out a few expletives. Clive was merely the latest in a long string of casual relationships that all ended badly, so she shouldn't have been surprised. To dump her when she was so down was low though, even for the type of men she picked. She walked over to the wine cupboard. With her hand on the door, she stopped. No. That would not fix anything. There were other priorities. She went to her desk and turned on the computer to check her bank balance. She had been forced to quit work a month before because she was just too tired all the time to cope with it. It was only an agency job - temporary and unstable like the rest of her life. The doctor gave her a sick note and she had claimed benefits. It wasn't much to live on and it wasn't enough to pay off her accumulated credit card debts. Jessica knew from experience that she could survive on 'the dole' for a while but not long. Over time the bigger expenses came in. Shoes needed replacing, skirts, blouses. And her car was due for M.O.T. soon. It was all going to pile up and now she was on her own. Completely on her own. The phone rang and she picked it up quickly. "Clive?" Maybe he had changed his mind. A woman's voice answered. "How are you, Jessica?" She sighed. "I'm all right, mother." It wasn't true but she didn't want their sympathy. She hadn't let them know she was in the hospital. Clive had told them. He had never met them but found their phone number in her address book and did the right thing, perhaps to salve his conscience because he knew he was dumping her. They had been to visit her every day and it had been terrible. Parents and child had nothing to say to each other except bitter recriminations about the past so the hour had passed in awkward silence with occasional comments on news stories or gossip from her mum about the neighbours. Her father would make a few remarks about how the garden was coming on as if she cared. Each visit was a nightmare but they kept coming. "Are you sure, dear?" That was her mother's response to every answer. Do you want a cup of tea? No thanks, mum. Are you sure, dear? It made her want to scream. She bit her bottom lip. "Honestly, mum, I'm all right. I just have to take it easy for a while, get my act together and get on with life." Her mother hesitated, then replied: "It must be very difficult. And watch what you eat now, dear. I know you don't cook, and all that take-away food and microwave rubbish is full of salt. You're welcome to come and stay here with us for a while." Jessica thought she would rather die than go back to living with her parents. 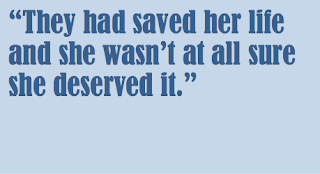 They had smothered her, especially her mother, a result of being an only child, perhaps. Her birth had been complicated and no siblings were possible. She had left home aged sixteen to live with a boy they found unsuitable. In fact, he had turned out to be no good but that didn't change her mind. "Thank, mum, but I'll manage. Honestly." "As I said, you're very welcome to stay here." Her mother repeated everything with the words "as I said". It was something else that drove Jessica crazy. "No thanks. Honestly, mum. No." Jessica gripped the phone until her knuckles went white and restrained a scream. "I'm sure. You and dad take care of yourselves and I'll be in touch soon." Her mother hung up and she turned back to the computer. Time to work out the finances. Somehow she would manage. Somehow she did, for a couple of months. She fell behind on the rent but made the minimum payments on her credit cards and kept the finance companies off her back. Unfortunately, she went overdrawn on her current account which incurred fees. The car was the straw that broke the camel's back. "Four hundred and twenty pounds," she said. She pressed the phone tighter to her ear to make sure she didn't get it wrong. "Yes, Miss Young." The nice man at the garage sounded polite and apologetic. "Some of the bearings in the front axle are gone and the back discs need replacing. A few other minor things, too. It adds up to four hundred and twenty. Of course, you get a free retest if we do it within the next ten days." "All right, George. Thanks. I'll get back to you." She ended the call, sat in the chair and let out a long sigh. She had been using George's garage for years and knew he was honest and reliable, a rare thing in the motor trade. He wasn't the cheapest because he didn't cut corners but his costs would have been accurate. She did not have four hundred and twenty pounds. If she tallied up her debts and assets she didn't have four pounds twenty. She didn't cry. She never cried, never let herself. She was tough and independent and could take whatever the world dished out. Independent. But now she needed help, just for a little while. She dialled the number. "Hello, mum. Can I speak to dad, please?" She explained the situation to him. "Just a short-term loan, dad, until I get back on my feet. Things have been tough since the hospital." "I'll come round," he said. No, don't come round, she thought. Just transfer the money into my bank account. But she couldn't say that. "All right, dad. See you soon." Jessica sat in the armchair, sipping tea, and watched her father as he scanned the accounts on her computer. He was a small man, five foot six and balding now. At seventy-five he was entitled to that. He wore a brown cardigan over a white shirt and green trousers. He peered at the screen through little wire bifocals. Her mother's voice had dominated her childhood and this quiet man had seldom intervened. At weekends he was out tending his beloved garden and from Monday to Friday he was diligently at work. Before retirement, he had been a bookkeeper so he knew about money. Eventually, he closed the various screens down. He removed the bifocals, took a cloth from his cardigan pocket and polished the lens before replacing the glasses and looking at her solemnly. "You can't go on like this, Jessie." She shifted in her chair. "Can you lend me the money to fix the car, dad?" He shrugged. "I can but that's beside the point. You'll go under financially. Your outgoings are more than your incomings. You can put off the collapse by borrowing up to the limit on your cards but that's crazy. You're not working. You can't afford this flat, or a car, or any sort of half decent lifestyle. You might scrape by on the benefits if not for the debt but the debt is there." She glared at him. "Everyone's in debt nowadays, dad. It's the modern way." "No doubt. And it's all wonderful until something bad happens." She leaned back in the chair and crossed her arms across her chest, lowered her eyebrows and stared at him aggressively, aware that she looked like a huffy child but too fed up to care. "So what do you suggest?" He managed a tiny smile. "You won't like it." Jessica looked at him and felt a wave of affection. He was a quiet, serious little man and had seemed boring - unbearably so - when she was young. But he had been a good father and she had kicked him in the teeth, metaphorically speaking, with her bad behaviour, her drinking, running off with that lout, ignoring him for years. She had been a rubbish daughter and he had never said a bad word to her. Now she said, "Try me, dad." "Give up the flat, come and live with us for a while, until you get back on your feet. Free room and board. I'll pay for the car, not a loan. You shouldn't have all this stress in your present condition, Jessie. You need time to get well. Then you can get a job, get back on your feet." He smiled. "Think of it as respite care." Jessica frowned. "I think of it as dependence and I don't like it." He clenched his fists and his cheeks flushed, something she had seen perhaps three times in her entire life. "If you can't depend on your parents who the devil can you depend on?" he said angrily. She looked his feet, not wanting to meet his gaze. "I haven't been a great daughter." He dismissed that with a karate chop at the air. "Doesn't matter. Blood is thicker than water, Jessica." She looked him in the eye and smiled. "Mine isn't. I'm on warfarin." After a week at home, Jessica wasn't sure she could stand it. Perhaps a drink would have helped but she wasn't drinking; didn't dare. She knew if she had one gulp of a fruity red she would finish the bottle. The information on the British Heart Foundation website didn't forbid alcohol completely but advised caution. She had never been cautious with the stuff after the first sip and knew she couldn't be now. Her father was okay. He wasn't a lot of fun but he was okay. Her mother was driving her nuts. It was like being a child again. In the morning when she fancied a lie-in her mother would come into the bedroom, pull the curtains and tidy up, or start vacuuming. She would look out the window and say, "There's that nice Mister Brown off to work again. You can set your clock by him." One day she left the paper open on the job vacancies pages and set it conveniently on the coffee table next to the chair in which Jessica sat watching Bargain Hunt. Her father picked it up, closed it and put it in the magazine rack. "Agnes, Jessica isn't looking for a job until she's good and ready." His wife sniffed. "Well, Jim, it doesn't hurt to see what's out there. I'm only saying." "When she's good and ready," he repeated. "As I said, it doesn't hurt to see what's available." She went away. Jessica spoke in a low growl. "As I said; I'm only saying; her catchphrases haven't changed." Her father stood up. "It's too late to change her now, Jess." But he went out into the kitchen and she heard raised voices. Her mother never said another word to her about getting a job, and never hinted either by word or deed. Her mother also stopped disturbing her in the mornings and she sometimes didn't get up until nine thirty. She started to relax. In the end, though, it was situation comedy on Freeview that saved them. Somewhere in between her childhood and her troubled late teens, there had been a period when Jessica and her parents had sat comfortably in the lounge and watched television together. Back then there were only three channels so the entire nation watched the same programmes. The Morecambe and Wise Show, of course, but the situation comedies, too. Jessica knew she couldn't sit sulking in her room all evening so she joined them in the lounge after tea. None of them liked the reality shows that now dominated the main channels so they turned to the other ones which showed old repeats, including those ancient comedies. Quickly they settled into a routine. The tea and biscuits would be lined up ready as the opening bars of the theme tune started up. They laughed together at the antics of the 'dirty old man' and would-be social climber son in the scrap yard. They chuckled over Del Boy's schemes and - weirdly - it was the prudish Agnes who laughed the most at the terrible double entendres in Are You Being Served. Jessica's tastes did not jibe completely with those of her parents - they liked the Croft and Perry stuff and she preferred edgier things like Steptoe and Son or Blackadder, which they didn't really get. All the same, everyone loved Only Fools and Horses and she even grew fond of gentler comedies like As Time Goes By, featuring national treasure Judi Dench and Geoffrey Palmer. Watching television, they felt like a family again. Maybe I'm getting old, she thought. She was also getting better. The doctor had happily given her sick notes while her condition stabilised and there had been a rocky few days when her breath got short and her pulse quickened. They changed her medication and all was well. She still felt tired a lot but even that was getting better. She started to look at job vacancies online. Whatever her other flaws, and they were many, she had always worked and worked hard. She had a good CV as long as potential employers were willing to consider a fifty-six-year-old with a heart condition. Well, she would soon find out. One afternoon her mother was upstairs vacuuming and Jessica had her laptop out and was going through her credit card bills. With free room and board, she was managing more than the minimum payments and the debt was slowly going down. She put the computer aside and went out to the kitchen. Her father was drying the dishes from lunch. "Dad, are you free for a minute?" The serious, sober little man turned to face her. He looked left. He looked right. He flipped the tea towel over his shoulder. "I'm free," he piped in a high voice. She doubled over laughing until her stomach hurt and tears streamed from her eyes. She backed into the living room and collapsed into a chair. She couldn't speak for about five minutes. The noise of her hysteria was heard upstairs and her mother came down and stared at her as if she had gone mad. When she finally quieted down her father looked at her and smiled gently. "You know, daughter. I think it's going to be all right." A nice little "heart-warming" story. A couple of underlying themes that strike home, at least here in the states. The number of folks approaching retirement age (planned or otherwise) that have little if anything to fall back on. And the hint at the struggle of those in that age range who might be looking for employment. Never mind that Jessica had a heart issue. Fun read. I enjoyed this gentle slice of life with an upbeat ending. And any story that works in a reference to the show As Time Goes By (popular also in the states) is hard not to like. Good detail. Captured the minutia of all the different situations. I loved this story. Also that while the ending was upbeat, it wasn't 'all in the garden is rosy'; Jessica still had a long way to go before straightening out her life. Keep witing Eamonn! I enjoyed this insight into the mind of someone that is now paying the price. I'm glad she's as good as she is going to get.